Upon completion of this 10% acquisition along with the earlier acquisition of 13.5% stake from Bidvest, the equity shareholding of the GVK Group will increase to 74% from the existing 50.5% in MIAL, the company added. Shares of GVK Power & Infrastructure climbed 5% in the afternoon session on Friday after the GVK Group increased it's stake in Mumbai International Airport Limited. “GVK Airport Holdings Limited (GVKAHL), a step down subsidiary of GVK Power & Infrastructure Ltd, has exercised its right, under 'Right of First Refusal' in terms of the Shareholders Agreement dated April 4, 2006, subject to certain terms and conditions, as may be mutually agreed, regulatory, and other approvals, and also in accordance with the various contractual agreements between GVKAHL and ACSA Global Limited (ACSA), to acquire 12,00,00,000 equity shares of Mumbai International Airport Limited (MIAL), constituting 10% of the total paid-up share capital of MIAL, from ACSA at the rate of Rs7/share,” as per filing. 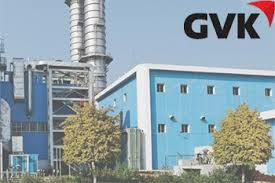 GVK Power & Infrastructure Ltd is currently trading at Rs7.35, up by Rs0.31 or 4.4%, from its previous close of Rs7.04 on the BSE. The scrip opened at Rs7.05 and has touched a high and low of Rs7.67 and Rs7.03, respectively.